Let’s say you own a boat. Or a motorcycle. Or a classic car. You most certainly paid a considerable amount of money for your recreational vehicle and are diligent about upkeep and regular maintenance. More importantly, you want to keep this bike, vessel or vintage vehicle safe during the off-season when it would otherwise be firmly planted in your driveway and exposed to the elements. For those who’ve realized that there are options available to protect your investment, we’d like to shed a little more light on metal garages in South Carolina (SC) and how customers across the country have benefitted from customized carports. Now that you’ve heard about carports for sale in SC -- and have realized that this is exactly what you need to house everything from livestock to farm equipment -- it’s time to take some measurements. 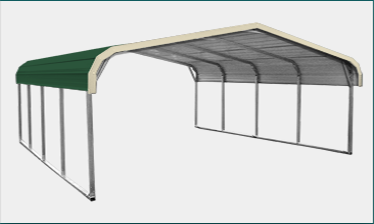 We know that no two Carolina carports are created alike and the needs for each of these additions are as unique as our customers. 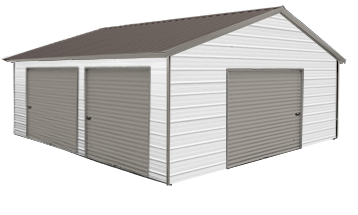 Through our easy-to-use carports customizer, you can pick materials, size, walls, roof style, the type of garage door and more. 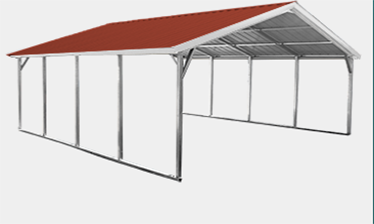 Best of all, free installation on a level site with rebar or bolt anchors is available for our carports in SC. At Scott’s Carports, our RV carports are dependable structures that can repel the elements and keep your vehicles road-worthy for years to come. While falling leaves and rain might not be the greatest threat to all things automotive, leaving a car outside for months at a time without use can easily contribute to dried-out rubber grommets and plastic connectors due to the elements. Trust us, nothing is going to leave you stranded on the side of the road faster than a plastic electrical sensor that snapped due to how fragile it had become. Similarly, metal garages in South Carolina as well as the southern region of the U.S. are an ideal setting for livestock or pets during colder winter months. That’s when temperatures can drop to 35 degrees throughout the season. 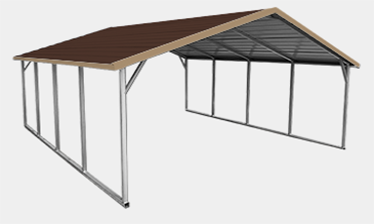 When it’s time to find carports for sale in SC, we hope you think of Scott’s Carports, and the sheer variety of uses that our Carolina carports offer consumers.